Professionally, Alissa has provided financial accounting advisory and audit services to clients for more than 20 years with Ernst & Young. She has extensive experience working with global organizations, and lived and worked in Europe for 5 years. Alissa is passionate about travel and has explored more than 40 countries. She is an avid outdoors woman who enjoys triathlons, hiking, fishing, skiing, running, biking, snowshoeing, climbing and mountaineering. 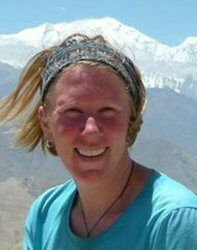 She has done extensive long distance through-hiking in Alaska, Colorado, the European Alps and the Himalaya. Alissa obtained a Masters in Accounting from the University of Virginia and a Bachelor of Science in Business Administration from California State University, San Marcos. She is a Certified Public Accountant.